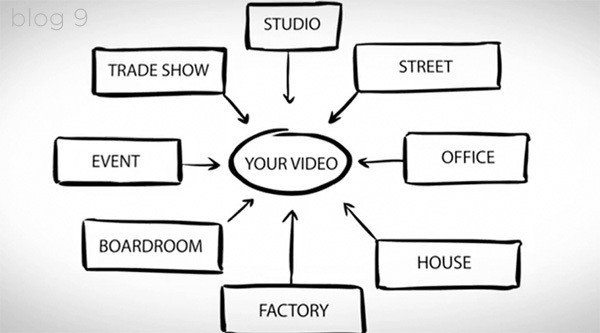 One of the most important things that you need to determine when planning your video is where you will shoot it. The location will vary depending on the type of video you are shooting, but in general, you will either be shooting in the studio, or you will be shooting on location. If you are shooting in the studio you will need to book studio time, and if you are shooting on location you need to make sure that you have the proper approvals and documentation in place. A third shooting option is multiple locations shooting. If it makes sense for your video to be shot in multiple locations, think about how many places you want to shoot in and where they are located. Remember that shooting in multiple locations requires some logistical planning to ensure everyone is where they need to be, and when they need to be. And, don’t forget the investment that will be required. Shooting in multiple locations takes more time, effort, and resources, so make sure that you have factored this into your decision. Key Takeaway: Figuring out when and where you want to shoot helps to establish a time frame for the video project.